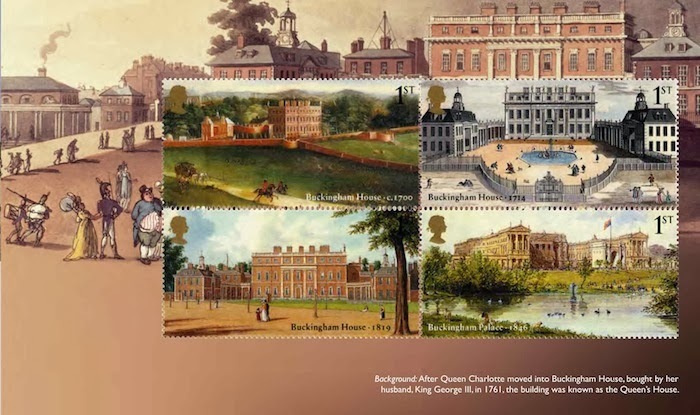 Stamps recording the three hundred year existence of Buckingham Palace - previously Buckingham House - will be issued on 15 April 2014. 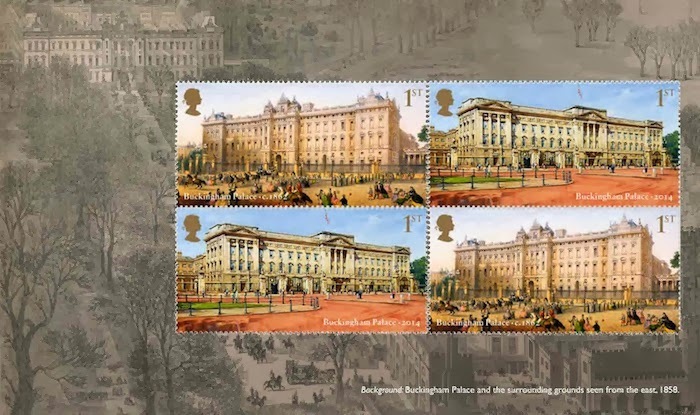 The 6 x 1st class stamps in ordinary sheets show the exterior of the building over the centuries, and the miniature sheet and retail booklet show the opulence of the interior. 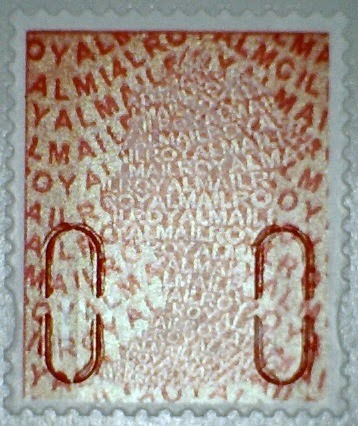 The 6 x1st class sheet stamps are 60 x 30 mm (same size as Olympic Welcome stamps) and will be in sheets of 18/36. 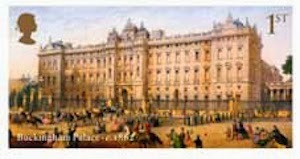 Printed by Cartor SP in lithography. 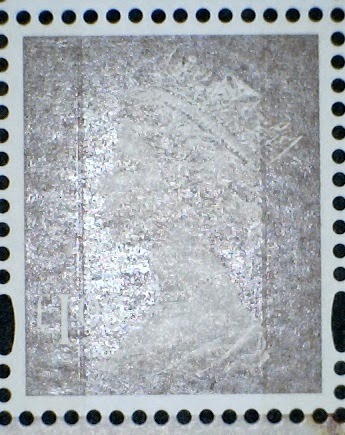 The miniature sheet is 115 x 74 mm with stamps 41 x 30 mm printed by Joh Enschede in lithography. 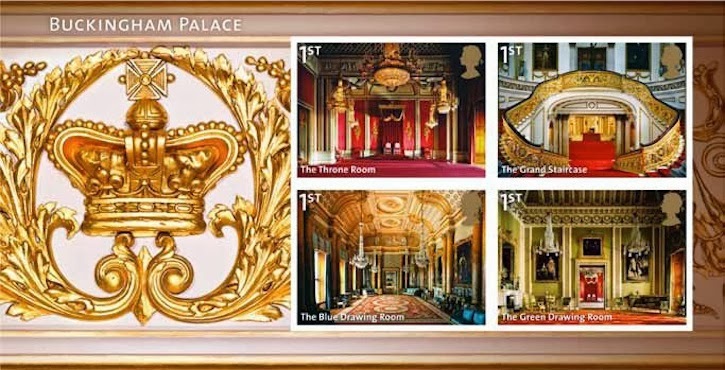 The retail booklet with 2 x Buckingham Palace stamps and 4 x 1st class red Machins is printed by Walsall Security Printers in gravure. 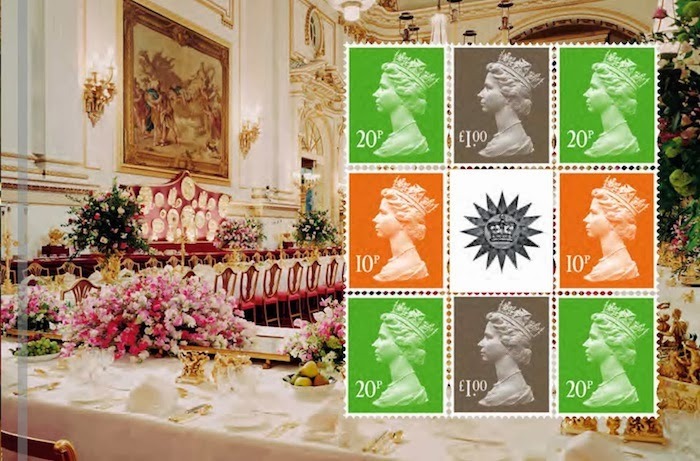 The Prestige Stamp Book will contain three panes each of 4 x 1st class stamps, and one pane of Machin definitives. 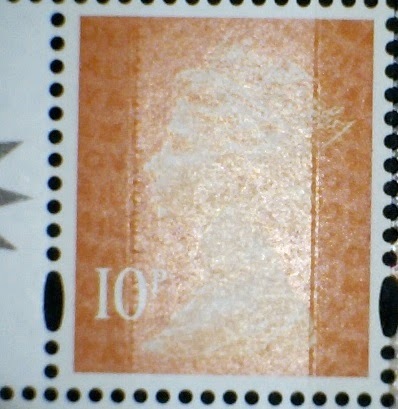 The last will contain 2 each of 10p and £1 stamps, and 4 x 20p (making the usual 8 stamps and a label. 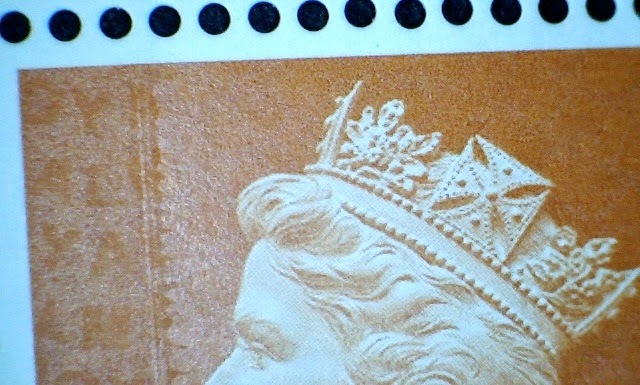 It's so long since stamps in a Prestige Book were different in a major way from those in sheets that there's a tendency not to check. 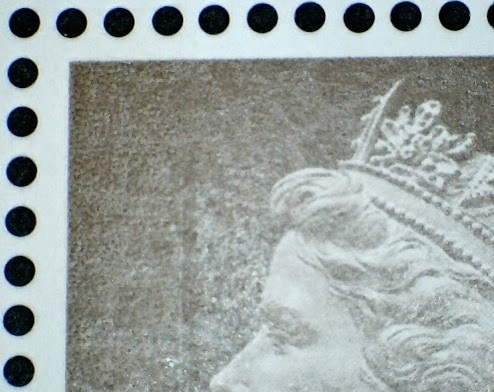 Fortunately the catalogue editors at Stanley Gibbons do just that, and we can confirm that the 6 x 1st class stamps in the PSB are perforated 14 x 13½, while those in counter sheets are perf 14½. 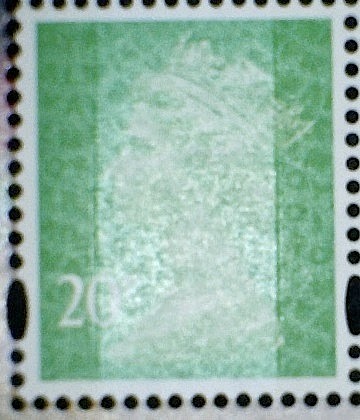 The sheet stamps are numbered 3589-94 and the PSB stamps 3589b-3594b. This is a very expensive issue, given all the variations on offer. 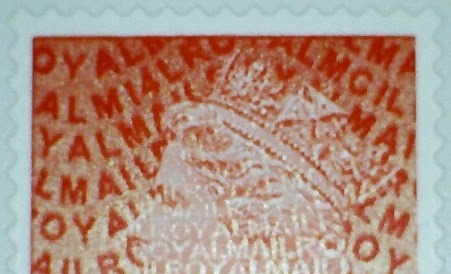 Keeping the price down to 60p a stamp (except for the Machin PSB pane) was a sensible option from Royal Mail. 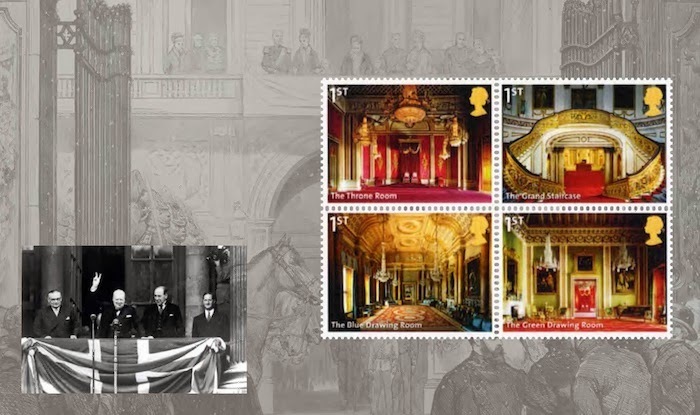 Love the set, to be honest this set works cheaper when you think about it more, its only got 6 first class stamps than the usual 10, if you include the miniature sheet it about the same price as the remarkable Lives. Indeed it should be 4 x 20p, thank you Robert. 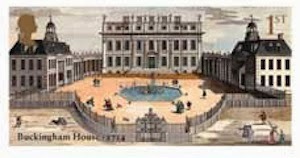 Image now added to the blog. 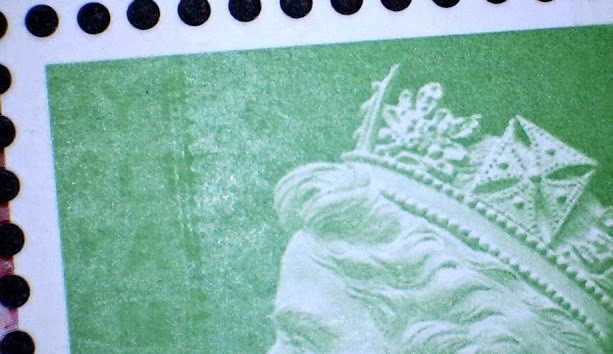 Without even counting regionals, there must have been around 30 Prestige booklet Machin panes containing 6 stamps - one as recently as 9 May last year! Yes, but these are generally in addition to the usual pane of 8 Machins around a label, not in place of.